With tobacco cultivation in the rearview mirror, Jack Whitley knows industrial hemp holds the key to a successful future for agricultural communities in the South East. While providing a great overview of industrial hemp and the crop’s turbulent history in the United States, this presentation also contains lots of great information about the current state of industrial hemp and it’s myriad of applications. So, what did we learn from Jack Whitley’s presentation? Under the 1705 Naval Stores Act, the British Navy paid North American colonies an inflated price of six pounds per ton of hemp. By 1768, North Carolina produced 60% of naval stores in the colonies. Early U.S. currency was printed on hemp paper. Not only is this $10 bill from 1914 printed on hemp paper, but the scene on the back of the bill also depicts a hemp harvest. 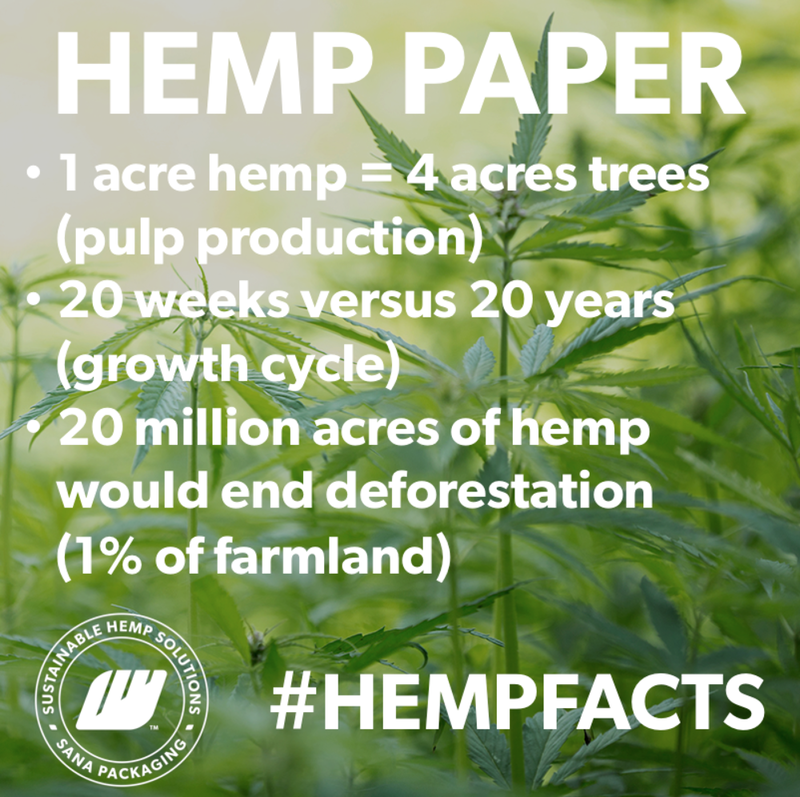 1 acre of hemp produces as much pulp as 4 acres of trees and hemp grows to maturity in 20 weeks while trees grow to maturity in 20 years. Furthermore, we could end deforestation if we dedicated 1% of farmland (20 million acres) to hemp cultivation. 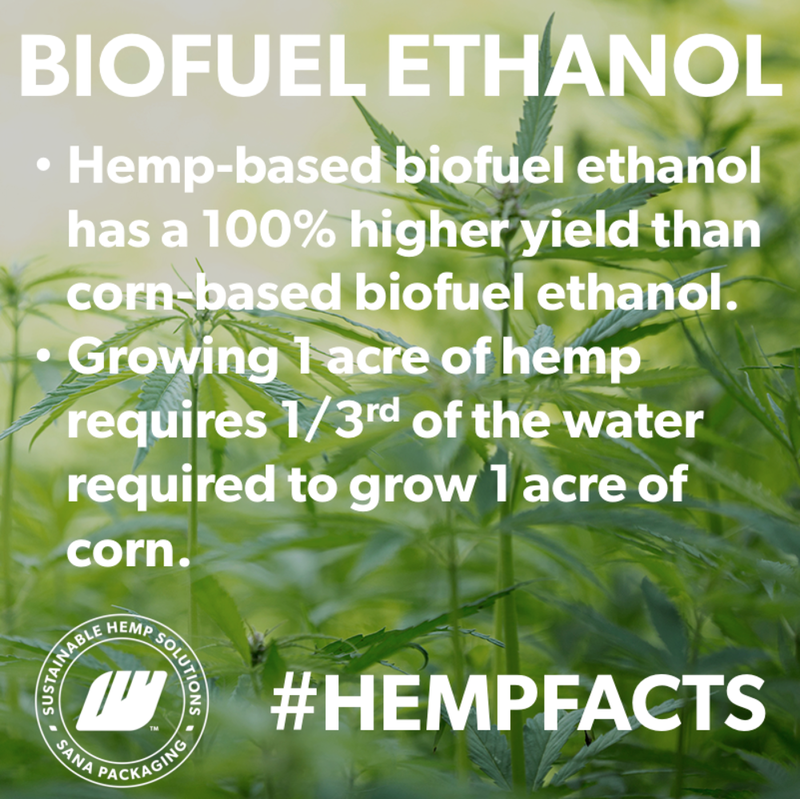 Hemp-based biofuel ethanol has a 100% higher yield than corn-based biofuel ethanol. Also, growing 1 acre of hemp requires 1/3rd of the water required to grow 1 acre of corn. 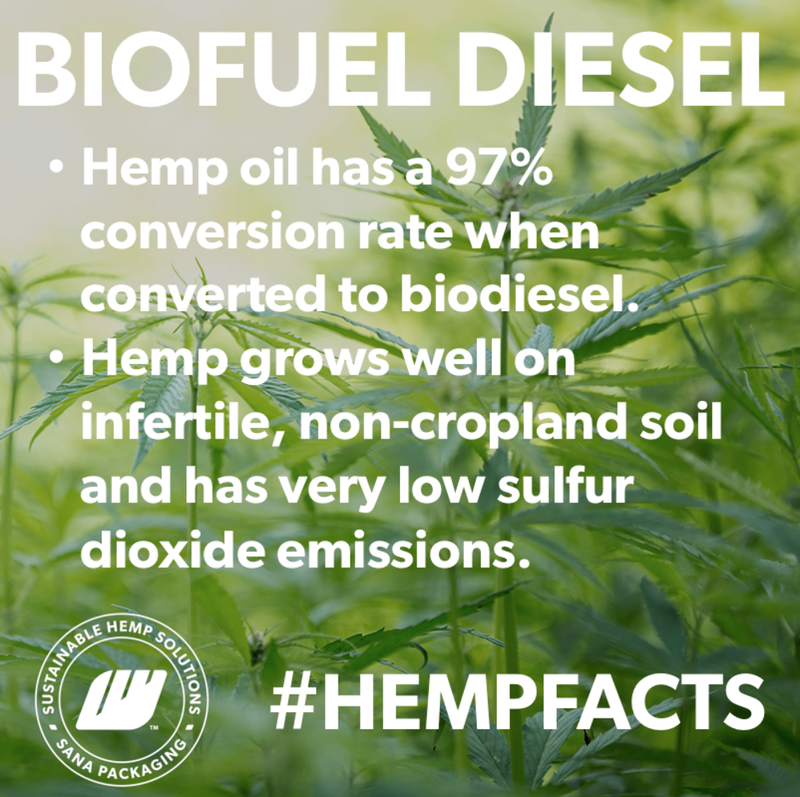 A University of Connecticut study shows that hemp oil has a 97% conversion rate when converted to biodiesel. Hemp also grows well on infertile, non-cropland soils and has very low sulfur dioxide emissions. Currently, we use 500,000 tons of bioplastic per year and hemp makes great bioplastic (Yeah, we know!). Carmakers such as Mercedes, BMW, Audi, Ford, and GM already use hemp plastic. 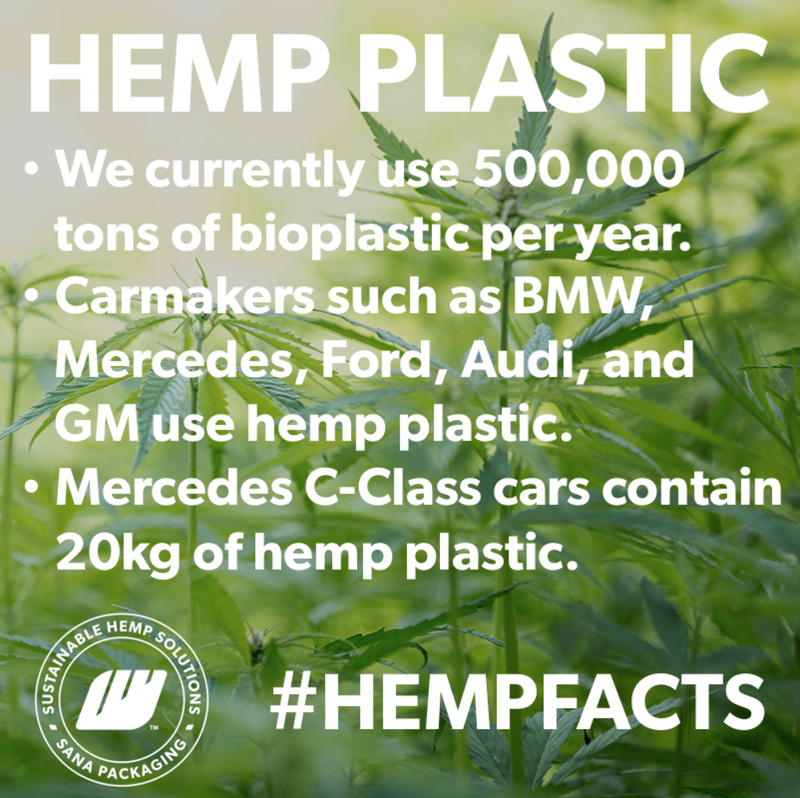 In fact, Mercedes C-Class cars contain 20 kg of hemp plastic. Hemp stalk is a great source of fiber for textiles. Hemp also yields 3 times more fiber per acre than cotton and requires half as much water to grow. 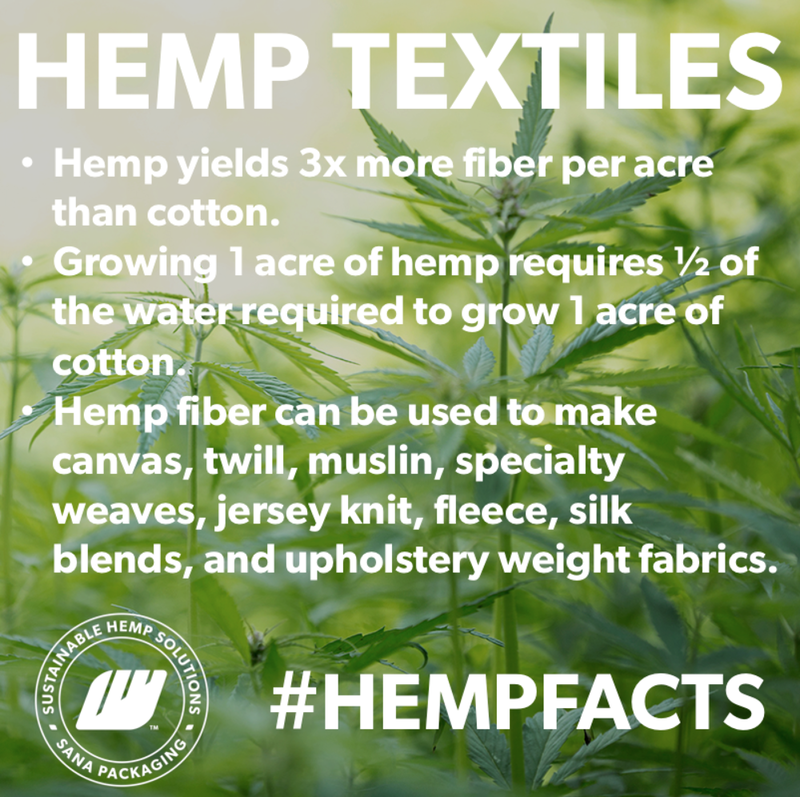 Hemp fiber can be used to make canvas, twill, muslin, specialty weaves, jersey knit, fleece, silk blends, upholstery weight fabrics, and more. 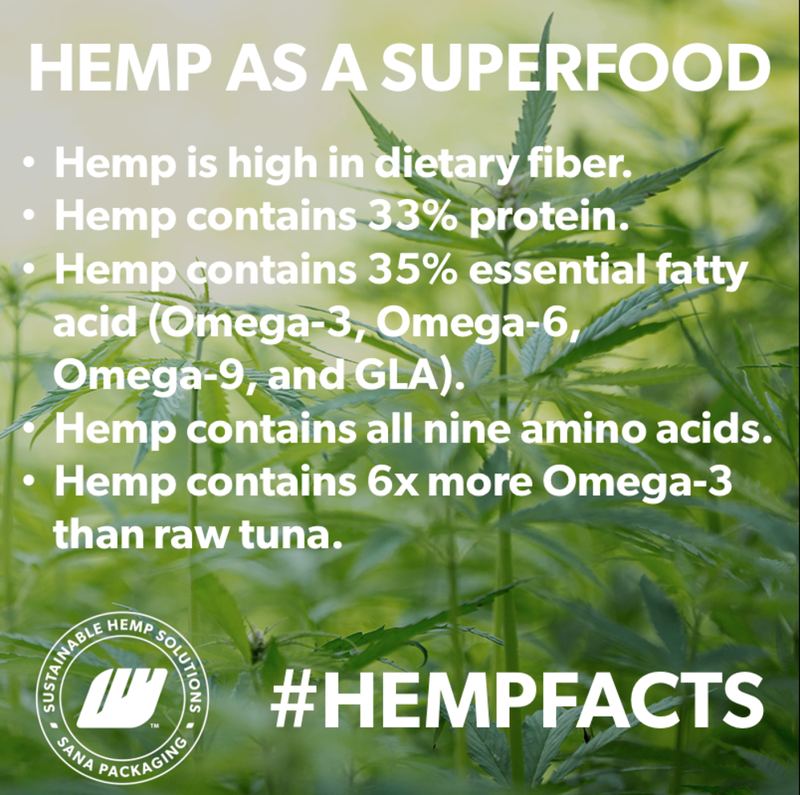 Hemp is a superfood that’s high in dietary fiber and contains 33% protein, 35% essential fatty acid (Omega-3, Omega-6, Omega-9, and GLA), all nine amino acids, 6 times more Omega-3 than raw tuna. Hemp has the potential to change pharmacology forever. 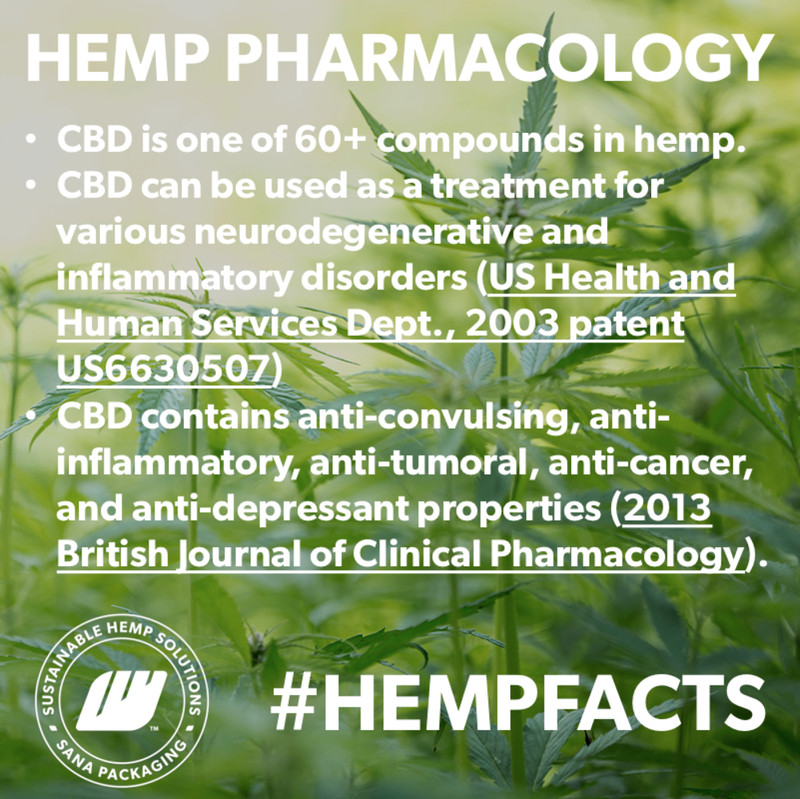 CBD is one of over 60 compounds in hemp. CBD can be used as a treatment for various neurodegenerative and inflammatory disorders (US Health and Human Services Dept., 2003 patent US6630507) and it also contains anti-convulsing, anti-inflammatory, anti-tumoral, anti-cancer, and anti-depressant properties (2013 British Journal of Clinical Pharmacology). Hemp cultivation is great for the environment. In fact, hemp is the best carbon trap per acre and 1 metric ton of hemp sequesters 1.5 metric tons of carbon. This has huge implications for the carbon tax credit offset market. For instance, many trucking companies invest in solar farms to offset their carbon emissions with solar tax credits. Imagine if they could invest in hemp farms instead? 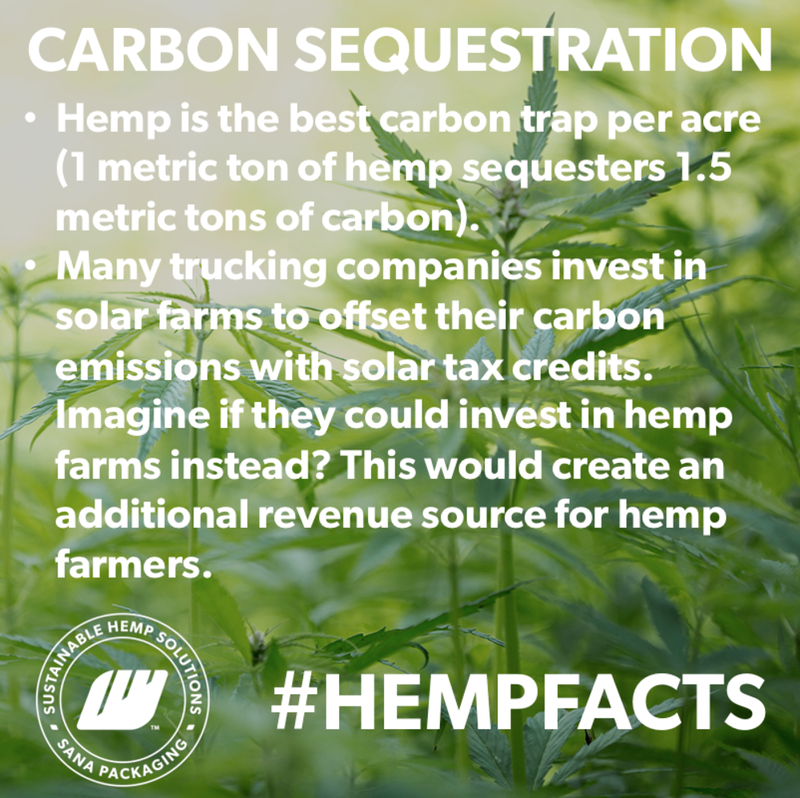 On top of having a larger positive environmental impact than investing in solar farms, this would create an additional source of revenue for hemp farmers.